Today’s tip has been brought to you by MAXINE. 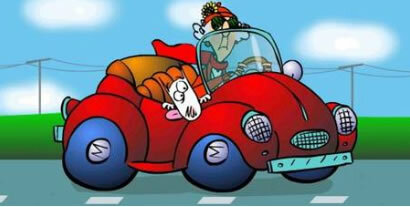 You see………Maxine was driving down the street in a sweat because she had an important meeting and couldn’t find a parking place! Can you discern someone’s religious beliefs based on his or her handwriting? Once again, you’d be shocked at what you can truly tell. In the on-line home study course that I offer, an entire section is devoted to the letter “h” as it reveals very specific information about the writer’s most authentically true religious and spiritual and personal beliefs. you have a good person on your hands. And if you find the “h’ written exactly this way over 50% of the time in a handwriting sample, you can be assured, this person works is intent on living by the Golden Rule. This writer believes in the importance of treating others as they like to be treated. What makes this “h” unique in how it is written? Also notice the beginning stroke starts ON the baseline and drives upward creating a loop. At the minimum both of these structures must be in place for this to apply. Why so exact? Because that is what makes this science so amazingly consistently accurate. One of those h’s reveals an agnostic. And another one above reveals who goes to church but has not heard a word spoken. 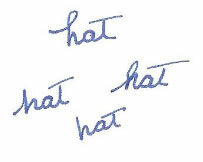 peek into some of the surprising things that handwriting reveals. But please realize, in handwriting analysis, we do look at many factors in handwriting and then we stack the traits one upon another. the size, the pressure, where the i’s are dotted, where the t’s are crossed, how long are the lower loops, what is the slant? specific traits you are getting a glimpse of that give fabulous specific information. you, like all of my other students in the RMGA Family, crave to learn more and more. life long journey that can change your life in so many wonderful ways. As it did mine and as it has so many of my students. Phew, can you believe we’re over half way there? And look at how much you’ve learned already! Let this soak in…….because the next tip has been one of the most popular tips. I can’t wait to share this unusual insight with YOU. See you in a few days my friends….